Both architecture and anthropology emerged as autonomous theoretical disciplines in the 18th-century enlightenment. Throughout the 19th century, the fields shared a common icon—the primitive hut—and a common concern with both routine needs and ceremonial behaviours. Both could lay strong claims to a special knowledge of the everyday. And yet, in the 20th century, notwithstanding genre classics such as Bernard Rudofsky’s Architecture without Architects or Paul Oliver’s Shelter, and various attempts to make architecture anthropocentric (such as Corbusier’s Modulor), disciplinary exchanges between architecture and anthropology were often disappointingly slight. 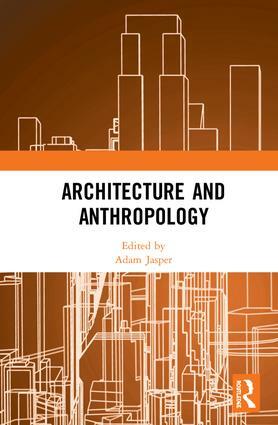 This book attempts to locate the various points of departure that might be taken in a contemporary discussion between architecture and anthropology. The results are radical: post-colonial theory is here counterpoised to 19th-century theories of primitivism, archaeology is set against dentistry, fieldwork is juxtaposed against indigenous critique, and climate science is applied to questions of shelter. This publication will be of interest to both architects and anthropologists. The chapters in this book were originally published within two special issues of Architectural Theory Review. Adam Jasper has edited issues of the Architectural Theory Review and Future Anterior. He is also a regular contributor to Artforum and Cabinet Magazine. He studied Art History at The University of Sydney, Australia and taught in the Faculty of Design Architecture and Building at the University of Technology Sydney, Australia.